Following part about Frank Sinatra’s Death is from My Father’s Daughter by Tina Sinatra. The new millenium was in sight. Dad was determined to be a part of it. “How many more months?” he asked me. Eighteen, I told him, rounding down a bit. And at 11.10pm, Tina Sinatra was informed that her father had passed away. She called Nancy and in minutes they got to Cedars-Sinai Medical Center. In Sinatra family, Frank Sinatra’s death and the funeral arrangements were a total mess due to Barbara Sinatra. Sinatra’s children weren’t informed about Frank Sinatra’s Death neither when he was taken to hospital nor during the 80 minutes when doctors were trying to save him. No doubt Barbara ordered the doctors and hospital not to inform them. 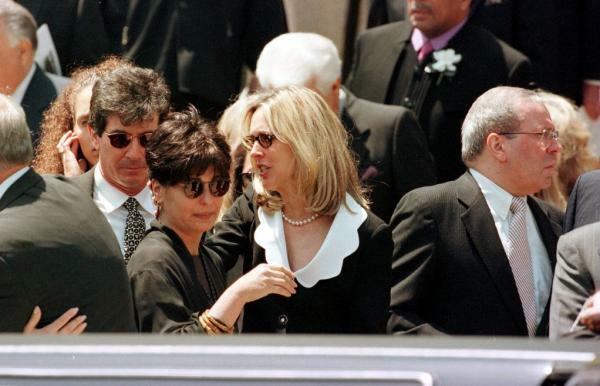 6 days after Frank Sinatra’s death, on 20th of May, 1998, the Frank Sinatra’s funeral took place at Church of the Good Shepherd in Beverly Hills. In The Wee Small Hours, Moonlight In Vermont, Ave Maria and Put Your Dreams Away were played at the church and during the religious service during Frank Sinatra’s funeral, along with some other songs probably. 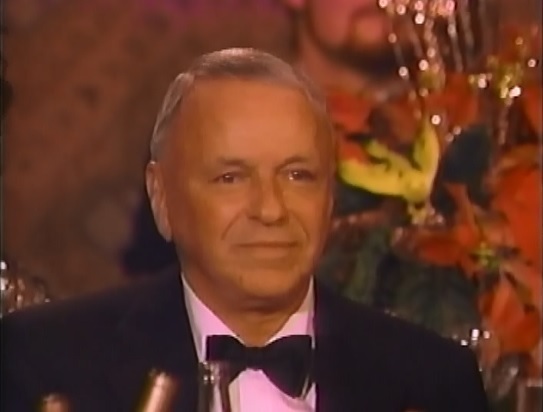 Here is a video of Tina’s, Frankie Jr’s and Nancy Sinatra’s comments on Put Your Dreams Away and how they explain the moment in the church during Frank Sinatra’s funeral. Nancy Sinatra: When my dad died, it was the only choice when the question came up which song of Frank’s should be played at the end of the services and of course it had to be Put Your Dreams Away and there wasn’t a dry eye in the church because it’s that kind of an emotional song. 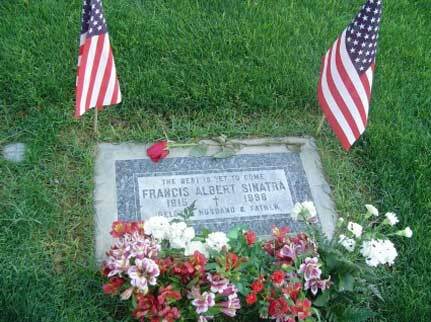 Francis Albert Sinatra was born in Hoboken (12th of December, 1915) and died at the age of 82 in Los Angeles, California. Frank Sinatra’s death was shock for everyone. His grave is at Desert Memorial Park in Cathedral City. He was buried with a pack of Camel cigarettes, a bottle of Jack Daniels, a zippo lighter and dimes. On the grave, it says “The Best Is Yet To Come”. How can I download this song and cost..
Twenty years this week he died,,,but he will never be forgotten!